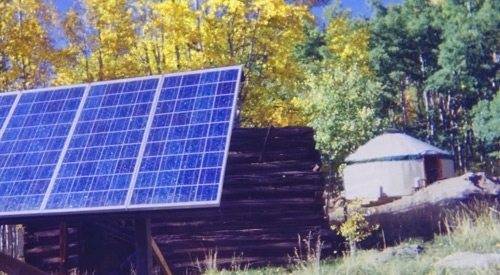 Atlasta Solar provides those who would like to completely eliminate their electric bill with off grid solar solutions that are affordable, accessible, custom, and efficient. We help increase your assets while keeping cost at a minimum. Our solar designers will bring information to educate you about solar electricity, the effectiveness of off grid solar, the products we provide, the incentives and rebates currently available, and the benefits of installing an off grid solar system! 1. Solar photovoltaic (PV) panels collect the suns energy and transport it to the charger controller and deep cycle batteries, for storage. 2. The power is then transported to your off-grid inverter which transforms the energy from direct current (DC) to alternating current (AC) for use in your remote home or cabin. 4. Propane generators are highly recommended for back-up power. 5. Generators power the batteries, or power the home directly and automatically, when needed.